After superb feedback for our second year show in 2018 we are happy to announce Volks Weald 2019 will take place over the weekend of 12th – 15th July. The VW community, friends and the public will once again come together for an old skool weekender & car show in 62 acres of beautiful parkland. The event is aimed at families & clubs to enjoy a superb camping experience, a trade village and catering avenue with a full entertainment programme throughout the weekend. If you are interested in a trade stand for the weekend, we are offering a 6m x 8m plot for £50.00. Bigger pitch sizes are available at a price of £10 per extra metre. 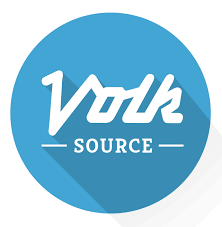 You can contact us at volkswealdtrades@gmail.com with your questions / requests. This price includes 2 show wristbands for the weekend worth £50.00 along with us publicising your business on our social media sites which have a following in excess of 44,000 people. We are already seeing a lot of interest from old & new traders and only have a limited amount of space so if you want to come along please either email us as soon as possible. Finally we have some great sponsorship opportunities which offer great value and exposure to your business – contact us by email for details. PLEASE NOTE THIS INFORMATION / PRICING STRUCTURE IS NOT FOR CATERING – ANY CATERERS WISHING TO ATTEND NEED TO CONTACT US SEPARATELY.